The morning was brisk and crisp and bright. I tugged the door tightly shut behind me. Already late, I fumbled for my keys and rushed down the short walkway to my car. I was not expecting to see the two bundles of fur that nearly blended into the gravel. They trembled in the early fall air, the ground sapping away any residual warmth from their shivering bodies. I hesitated. There was no maternal figure or caretaker in sight, though I knew what the parents looked like. Both were white and one was spotted with orange while the other with black, similar to their two children clustered together at my feet. I had often heard the parents yowling late into the night, lingering around my back doorstep looking for food. I never fed them but my neighbor X had taken a recent liking to them, even giving them whimsical names that he doggedly tried to make stick as he fed them scraps that were often from meals I had cooked for him. They never answered to X but had consequently become more aggressive and confident in parading around my steps, even beginning to meow at me in languid expectation when I returned home exhausted from long days at work. This was not something I wanted to encourage and had steeled my soul over time to resist advances that others would have interpreted as charming or piteous. I knew the cats bore no special affection for me; they had no reason to, save the hunger in their eyes. But I hesitated, conflicted in the middle of my early morning rush. The grown cats were nowhere to be seen, though they were likely watching my actions. I wanted to leave the kittens there; after all, I had no responsibility, ownership, or indebtedness to them. I did not think I could care for these kittens, as cute and helpless as they were, any better than the feral instincts of thousands if not millions of years of cat history. I already struggled enough to find time to care for myself, my neighbors, my patients… I knew that if I stopped for a moment, the gravity of caretaking that had become professionally instinctual would pull me, compel me, perhaps even obligate me to care. In the most efficient and realistic terms, I did not need to care. But I hesitated. I remembered what had happened on the same doorstep a year ago shortly after I had first moved in. It was a similar morning, a similar rush, and a similar arrest to an otherwise ordinary routine. There had been a brutal storm the night before and though the sky had been clear, I had opened the same door to find a very drowned and very dead kitten lying there. I was again late and had sick patients to rush to care for and so I stepped over the dead body and drove to work. The hospital was so busy I barely remembered the dead kitten until I came home late that night, bone‐tired and dreading dealing with yet another corpse. Thankfully there was none; my roommate had somehow taken care of the disposal. However, the image lingered with me and, unsurprisingly, immediately came to mind. At that point I wanted to stop wasting time thinking and hesitating, so I quickly went back into the house and fetched a plastic box and lined it with an old pillow and dirty towels. I fished out a used plastic bag to use as makeshift gloves and gingerly lifted the kittens into the box, which I then laid out in a safer location in my backyard. 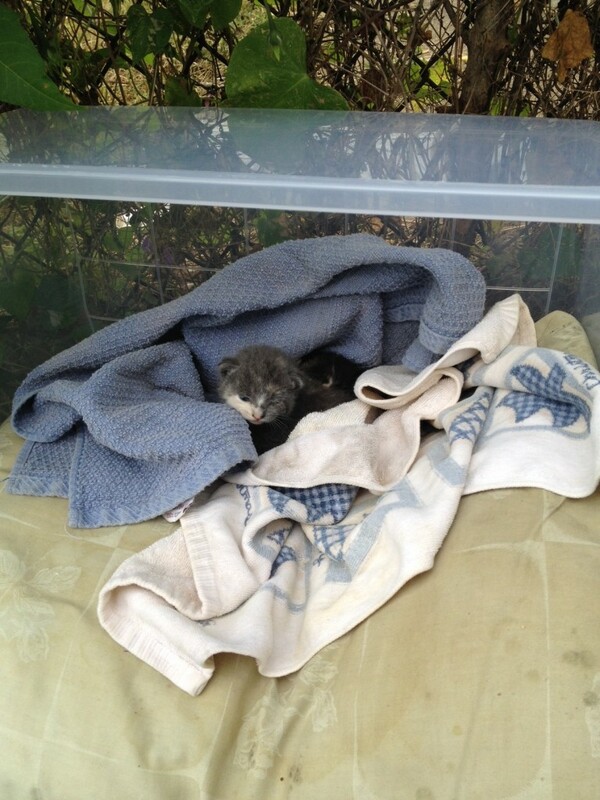 Within minutes the kittens warmed up and immediately began mewling and searching for a mother. They could barely have been a week old, as their eyes were still mainly blind and led them to forage futilely within the box. The whole scenario took less than ten minutes, but I was both irritated and satisfied with my improvisational efforts. I left for work. In the office, between seeing patients for back pain and drug addiction and diabetes, I asked my co‐workers what they thought I should do. Almost unanimously, they agreed that I carried no responsibility, though a few thought that since I had now begun to care for these kittens, I couldn’t abandon them easily. Nobody really answered my most serious questions, the ones about whether or not I had an ethical obligation to care. Perhaps this was because I really wanted confirmation that I had no need to care and could be released from any moral culpability for whatever happened to these two kittens. Perhaps it was because I couldn’t shake the feeling that I already knew that such thinking was wishful at best and maybe even callous and deplorable at worst. When I returned home, the kittens were gone. Someone or something had snatched them out of my shelter. I assumed it had been their parents and was grateful but a bit sad even though still sure I would see them around. I didn’t see them for a while. I began asking X if he had, and he had not known that there were kittens though he was not surprised. “They probably hid them away,” he said and the thought was comforting at the time, though I came to realize that I still did not trust the parents and was reminded of their children, all of the living and dead ones I had seen, every morning as I opened the door. I remember watching X and his father argue over this. Their house and mine were separated by another row home that had been shuttered after its owner died a few years ago. We chatted and called out to each other over the overgrown backyard lot in between us. I watched as the feral parents lazily wandered through the tall grass and weeds. Earlier, X and his father had been talking about the new food stamps they had just qualified for. The conversation meandered to talking about the cats, and X’s father called them a nuisance that should have been neutered like the other ones in our shared backyard lot. I shared his perspective, though I watched X carefully as he listened quietly and defiantly, even slipping some food to the cats as we spoke. I knew there was a long history of tension between X and his father that partially stemmed from gaps in generation and culture. X was my age and equally as expansive, ambitious, and impulsive while his father was cautious, deliberate, and well‐weathered. Though X knew how to entertain, it was his father who seemed to earn most of the keep in the family. Both of them were my good friends and neighbors, though at the time we all seemed to have different opinions on what to do with our local fauna, and as the three of us argued over their fate they mewled and hinting that their young children had been hidden away somewhere close by. A few days later a work crew, supposedly hired by the bank that had repossessed the house between us, came through and cleaned house. The cats suddenly emerged, displaced from their hiding spots, and I watched as the kittens crawled through the grass blindly and weakly, barely able to crawl more than a few feet as they escaped the din. The parents hovered around as they could but were often sent running and ducking by the cursing workmen and curious neighborhood children. I watched from my doorstep, mostly silent. The next day I was sitting in my room, which overlooks the lot, and overheard two neighborhood kids clamoring around the abandoned house. Something had caught their attention and they were noisy and purposeful. I don’t know what compelled me, but I dashed down the stairs and immediately confronted them. “Nothing.” They were siblings, perhaps six and twelve years old. The younger one wore his expressions far more plainly than his brother, who had long ago learned to hide his intent and purposes from strangers. “We’re looking for worms. For fishing.” I looked at the younger brother, who averted his gaze as they lied. “We’re looking for our cats.” The older one became defiant and confident. “Your cats? What do they look like? There are only kittens there, and you leave them alone.” I was surprised at the force and betrayal of emotion in my own words. “Um… you know…” They clearly didn’t. I became more angry and upset, both because of the increasingly obvious lies they insisted on telling to my face as well as their obvious intent to find these kittens. I began blurting out my thoughts. We argued for a few more minutes and then they ran off, pretending to be distracted by something across the parking lot. I waited uneasily for a few minutes, thinking about what I should do to protect the very animals whose caregiving responsibilities I had already struggled to absolve myself from. I knew what these children would do. They would think they could care for the kittens on their own and would discover instead through their naïveté, impulsiveness, and inexperience that such young kittens actually cannot survive on cow’s milk alone or from inconsistent attention or from a human mother’s unforgiving wrath. But I was not going to get involved. I was not going to trespass. I was going to shut my door, go to sleep, and figure things out in the daytime. I was going to give everyone and everything the benefit of a doubt and shield them from my cynicism about our ability to care and care well. I was going to observe and watch what happened. And this is what happened: I never saw the kittens again. After a few days, I began asking X and some of the other neighborhood kids if they had seen them either, but there was nothing to describe. I watched the parents continue to stalk our backyards, but never with kittens in tow and no longer with purpose. I am no expert in feline emotions, but I wanted to imagine that there was a hint of sadness to their loss even as I knew it to be unlikely. They were only animals, scavengers whose existence was only made possible by our excess and whose misery was enabled by a sick combination of our pity and indifference. It is no wonder then that they acted as if this was nothing new, as if they had no reason to expect anything different from a backyard world perpetually littered with plastic wrappers and beer bottles and the inconsistencies of human affection and disgust. Previous story What if I Left the City?